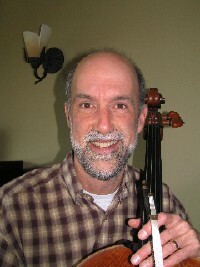 John Hubbard is a graduate of the North Carolina School of the Arts, and the University of Southern California, where he studied cello with Gabor Rejto, Eleanore Schoenfeld, and Ronald Leonard. In Los Angeles he was a member of the Pasadena Symphony for ten years, during which time he substituted with the Los Angeles Chamber Orchestra, the Los Angeles Music Center Opera Orchestra, and the Los Angeles Philharmonic. In Portland since 1989, he has acted as principal cello with the Portland Opera, the Oregon Ballet Theatre, and the Cascade Music Festival. He maintains a private studio, and teaches cello at the Community Music Center and Reed College. John has conducted student and adult string orchestras at the Community Music Center as well as the Portland Youth Philharmonic’s Young String Ensemble.